Not another Widening Participation blog? The title of my blog refers to a 2004 Sutton Trust report which suggested that, every year, 3,000 disadvantaged young people in the UK don’t attend a top university despite having good enough grades to do so. The figures, based on benchmarks by the Higher Education Funding Council for England (HEFCE), showed that 45% of independent school students who obtain ABB+ (or equivalent) go to a leading university, but only 26% of state school pupils obtaining the same grades do so. ‘Leading’ universities are defined as the 13 highest-ranking UK institutions, and they’re the ones associated with greater prestige, better facilities and higher salaries. The consequences for social mobility are obvious. Much has changed since 2004, of course. On one hand, a tripling of student fees and the abolition of AimHigher and the Educational Maintenance Allowance may make participation even trickier for some disadvantaged young people. On the other hand, the latest figures from UCAS actually show applications from the poorest 20% of the population at a record high. Is being ‘missing’ from a top university the same as ‘missing out’? Does Widening Participation (WP) still matter? How wide must participation be? Can the WP battle ever be won? What makes a young person ‘disadvantaged’ or ‘non-traditional’? Which are the over–represented groups in HE? What assumptions are encoded in the language and discourse of WP? Why do we frame the debate in terms of ‘barriers’ to participation? The Sutton Trust’s ‘Missing 3,000’ suggests that high-achieving working class youngsters may be deterred by the prestige associated with top universities, by the prospect of moving away from home, and by the cultural and social distance they perceive university to be from their own lives. Lots of other published research in the field (by Diane Reay and Penny Jane Burke, among others) find similar factors at play, and recent data I’ve collected in low-participation Manchester secondary schools suggest that these problems persist. Despite the modest gains in WP over the last ten years, recent quantitative studies by Vikki Boliver and Chris Cook find alarming disparities. According to Boliver, state school applicants are only 4/5ths as likely to receive an offer from a Russell Group university as private school applicants, even when their grades are the same (although that statistic doesn’t control for predicted grades, subject choice or applicants being either under- or over-ambitious in their selections). Clearly, debates in this area are complex and sensitive. But since dipping a toe in the field of HE (my academic background is in Linguistics), I’ve found the research to be stimulating and the debates fascinating. 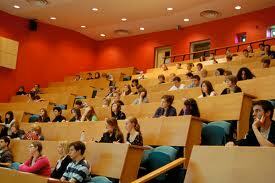 University participation is a topic about which everyone holds a view. Some of those views are well-informed, evidence-based and insightful. Others aren’t. This blog is simply one scholar’s attempt to help distinguish between the two. This entry was posted in Russell Group, Widening Participation and tagged Higher Education, Missing 3000, Widening Participation. Bookmark the permalink.